Last Sunday, our annoying furry babies decided it'd be a good idea to start barking at random nothing-ness at 6am. Begrudgingly, we got up and started our day. 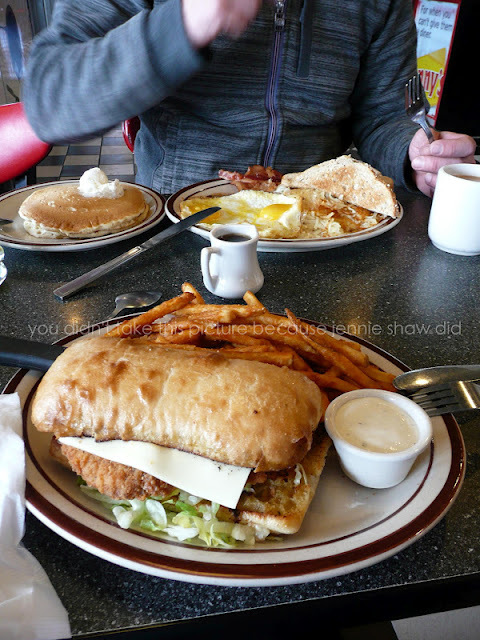 By 9am, we were bored and hungry, which is when I said: "Hey, do you wanna go to Bangor?" 20 minutes later, we were in the car. I really love living in New Brunswick. This is what we get to look at when we're on the highway. Just lovely. Especially in the summer. I wish that I'd had the guts to take a picture of the border crossing because - no joke - we were the only ones there. We even had to wait for a customs agent to come outside! We were all, "Err...is America closed?" This is usually where we get off of the highway to go shopping (it's the first exit after the border) but not this time! BANGOR OR BUST! Mere minutes before we crossed the border, The Remix noticed something. Can you spot the problem? There's no miles on Lulu's speedometer! Apparently, if you're in Quebec (where Lulu's from) then you're exempt from having to put miles on speedometers. With International browsing charges looming, I googled a few conversions and wrote them on the back of a recepit (the only paper we had in the car). If nothing less, we figured that if a cop pulled us over for speeding, s/he'd appreciate our effort. We were really surprised with how many lakes and rivers we passed by/over. It made for a very pretty drive. Then we passed a Salmon Stream. 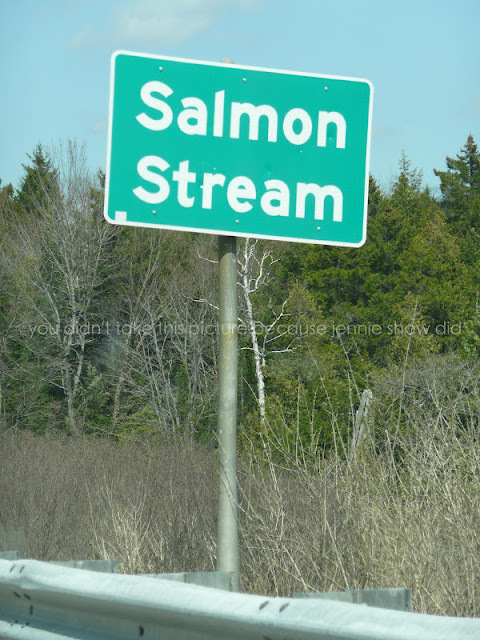 Not to be confused with the Fish Stream. Which is different. 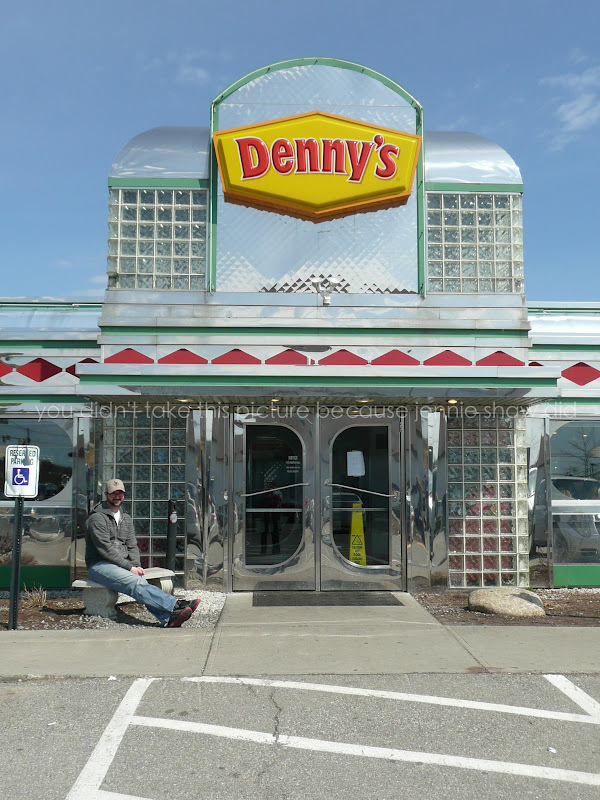 When we arrived at Denny's, I nearly lost my mind because it turned out to be an old-school diner! With red booths and everything! I don't know which of us enjoyed our meal more. The Remix practically inhaled his pancakes and I couldn't get those spicy fries in my face fast enough. Apparently, the Bangor Denny's was one of the first in the chain. The had random memorabilia all over the place. This was the biggest Target we've ever been to, although to be fair, we've only been to one other. I mean, there was a Pizza Hut inside. A PIZZA HUT! Also, there was a ridiculous amount of nail polish for $1.99. There's a rumour that our government is increasing the amount of things you can bring back without paying duty. If that ends up happening, I'm going to have to bring a bigger bag. 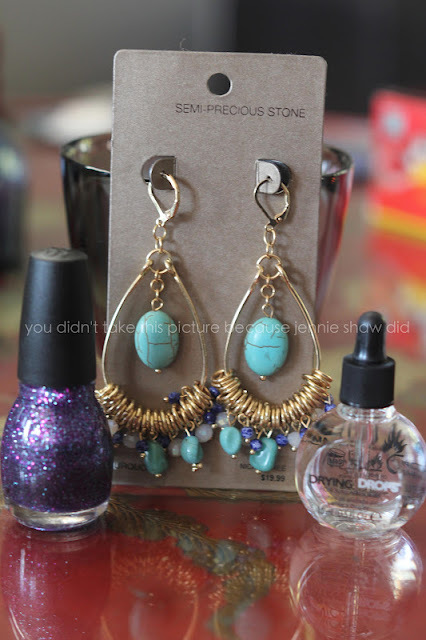 Part of my score included these earrings. I'm so obsessed with them that it makes me sad to take them off before going to bed. And the drying drops cost HALF of what I pay at home (grrr). It was also my first time buying Sinful Colors polish and, as I'm presently wearing it, can verify that the two-dollar polish is pretty good. Strike that. It's been four days and it's still chip-free. Eat that, OPI. On the way back home, we saw three hilarious licence plates. This was #1. #3 - The assisted parking pass probably comes in handy for Frodo. You know, being so small, and all. Do you think he drives with a booster seat? Ahh, home sweet home. Please note the Fiddlehead on the bottom left side. If you come to New Brunswick, the Fiddlehead roads mark the scenic routes. Just don't eat them. They're gross. So, it took about 2.5 hours to get there and although it was slightly long, we'll probably go back. Especially if we can buy more than $40 worth of stuff without paying duty. It was also fun to be spontaneous. We used to do fun random things all of the time but, with my health, it had been a while. Just getting up and going was half the fun of this trip, as was hanging with my hubby as we sang our way through Maine. Fine, fine, it was only me singing. The Target I shop at has a Pizza Hut AND a Starbucks =) Sounds like a fun trip! 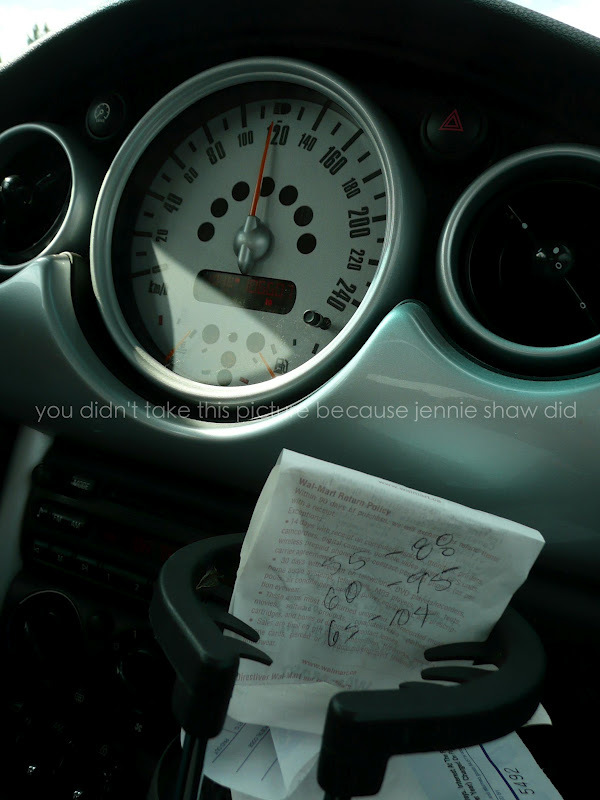 Jennie you are too funny! Is America closed, hah! Sounds like you had a great little spontaneous getaway. Those are the best! And man that sandwich looked good, making me hungry! I think I just bought that sinful color last week. That band is great for how cheap it is. My OPI habit could leave a girl homeless. I have never been to Maine but it looks beautiful. We go to Target every weekend. I dont even want to know how much we spend there in a year! Love the pictures!